Writers shouldn't let themselves get pushed around. Two days of free return might be OK. Two weeks is ridiculous, particularly when readers get to sample an ebook before buying. Two weeks is the standard check-out time at many public libraries and more than enough time to read most books cover to cover. And this is coming at the same time at those VAT increases. Smashword's Mark Croker did his best to argue that authors should not raise their ebook prices despite getting soaked with a VAT that'll reduce their income by about 20%. Europeans won't buy if you do, he says. I prefer to state it in a different way. Europe is democratic. In the end it's the European people themselves that are responsible for VATs that are hidden, extremely high (averaging about 21%), and rising. It's only fair that they pay them. After all, if I buy something made in Europe here, I have to pay a sales tax. 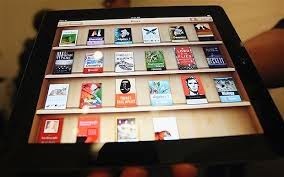 I did do my best to be fair when I established new prices in the iBookstore. * Luxembourg, France and (outside the EU) Switzerland apply their far-lower VAT for print books to ebooks. Since those tax rates are similar to sales tax in the U.S., I priced ebooks sold in their county as closely as I could to the U.S. price. * The other EU countries have not done that. In most, print books and audio/ebooks distributed on CDs or DVDs pay a lower VAT. Ebooks distributed online do not. I would have preferred to raise ebook prices in those countries to precisely cover the additional taxes, but Apple only allows certain fixed prices. For the Euro, that's typically an X.49 or X.99 prices. I made the closest match I could, raising prices in those countries one Apple category or about 25%. 1.99 Euros in France from Apple. The Apple prices are the ones I determined, hence the difference between France and Germany. You can see those prices by changing your country in iBooks. Go to the store page and find Manage-Change Country at the bottom. You can change it back afterward. Amazon set its new prices and I have trouble making sense of them. It increased the price of that novel by 34%, even though the highest ebook VAT in Europe is 25%. And it made the same increase for low VAT France (5.5%) as for high VAT Germany (19%). Strange to say the least. I'm going to wait to let the dust settle on this new 14-day free return policy. My books tend to be serious enough, I suspect people will keep them, but if I see a significant return rate, I may slap on a price increase, particularly if I can distinguish between countries in that behavior. For now, I'll just deal with that ridiculous return policy by rounding up a bit more aggressively rather than down when the U.S. price in dollars doesn't have a precise match to the EU price in Euros. Like I said, in the end Europe is a democracy. If Europeans permit the EU to make ridiculous rules, Europeans should have to live with the consequences. I hate to go to all that bother, but if the EU wants to make a complicated hash out of selling country by country with those varying VATs, I'll initiate country-by-country pricing differences. I certainly don't want to punish the French, whose government has the sense to apply print book VATs to ebooks. It's unfair to treat them the same as countries where that VAT varies from 7% for print books to as high as 25% for otherwise identical ebooks. And those varying prices is the only way as an author I can put pressure on Europe to fix such inconsistent, confused, and illogical policies. I don't see why allowing free return is a bad thing, though as the previous commenter points out, 2 weeks is too long a period. I have bought ebooks that were of a terrible quality (usually OCR'd without proofreading, or with errors in the XML code that caused the file to jump from one chapter to a discontinuous one), and it's incredibly frustrating not to be able to return them. Samples are of little use as usually these finish after the table of contents. Why bother?